I’m so excited to say: “Happy Spring!”. Fiiiiiinally, right?! For those covered in snow along the east coast, I’m so sorry. Hang in there my friends. Let’s hope this is the last of the winter snow and soon we will be surrounded in bright greens, purples, yellows, and pinks. Ahhhh, such happy thoughts. To celebrate the start of a new season, AbbyDora Design will be at RIT’s Spring Craft Fair this Friday (3/23) from 10-4pm in the SAU. 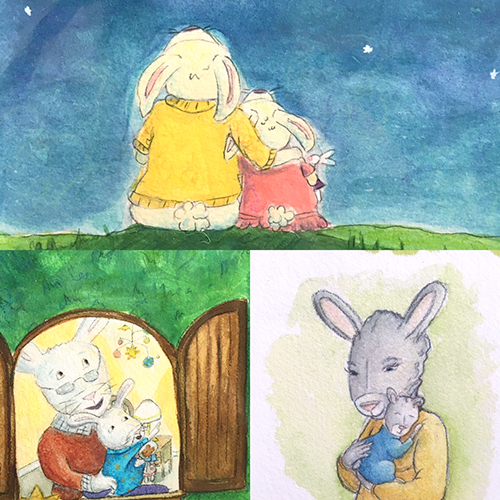 We will have lots of spring inspired art like: rabbits, frogs, lambs, and fuzzy yellow ducks! If you can’t swing by on Friday, then head over to our shop to find all our art. I do hope you’ll be able to stop by and say hello!